Incorporating our awesome Trash Puppets Puppet Making Workshop our parties show party guests how to make their very own puppet using recycled/ reused materials. 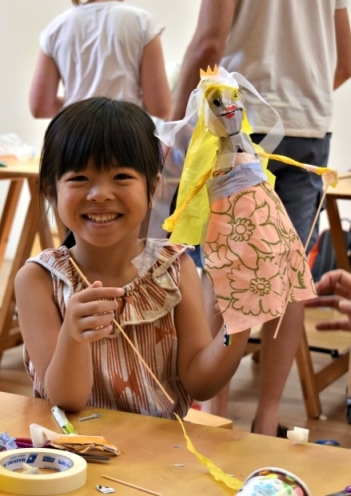 Each child leaves with an original, working puppet as a souvenir from the party. Zero Waste add's two more R's to ‘Reduce, Reuse and Recycle’ - 'Rethink' and 'Refuse'. What could you say 'no thanks' to today that saves landfill and wasted resources? By introducing the concept of Zero Waste through a fun and playful event, we aim to give everyone involved a positive experience to start them on the road towards more sustainable living. BYO food and drink - complying with the EcoCentre’s Zero Waste Guidelines. Zero Waste means we Refuse and Rethink disposable items at our parties. No plastic bags, no single-use plates/ decorations/ prizes/ loot bags etc. We "wash against waste" - Providing you with reusable servingware means doing a few dishes at the end of the party, but it helps reduce reliance on disposable products. We decorate the room with homemade, reused decorations. 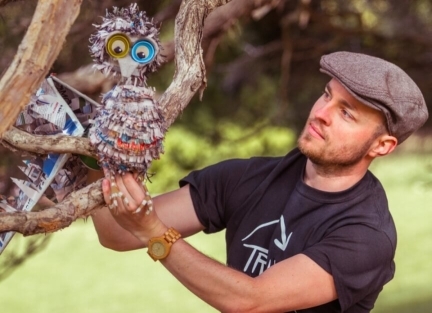 Any single-use items you do bring will be incorporated into the ‘trash pile’ for puppet-making.